MAD Scientist Associates was selected by the United State Army Corps of Engineers (USACE) to collect biotic, physical, and chemical data for streams flowing into two public reservoirs, CJ Brown and Caesar Creek, covering 13 sites from July-October. Mark Dilley and Jenna Odegard headed field teams that collected fish, invertebrate, water chemistry data, as well as physical stream measurements. Data collected from these sites were used to evaluate health of the streams surrounding the reservoirs. 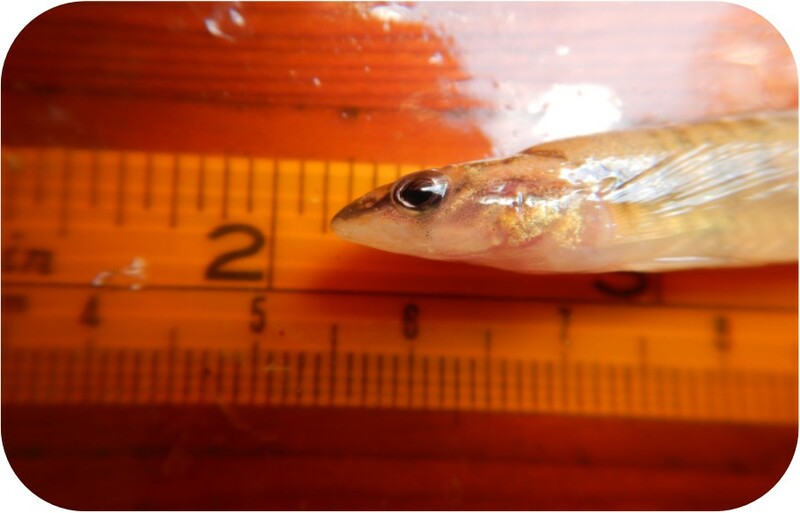 Fish populations were sampled by electrofishing, while invertebrates were collected using Hester-Dendy samplers and dip nets. 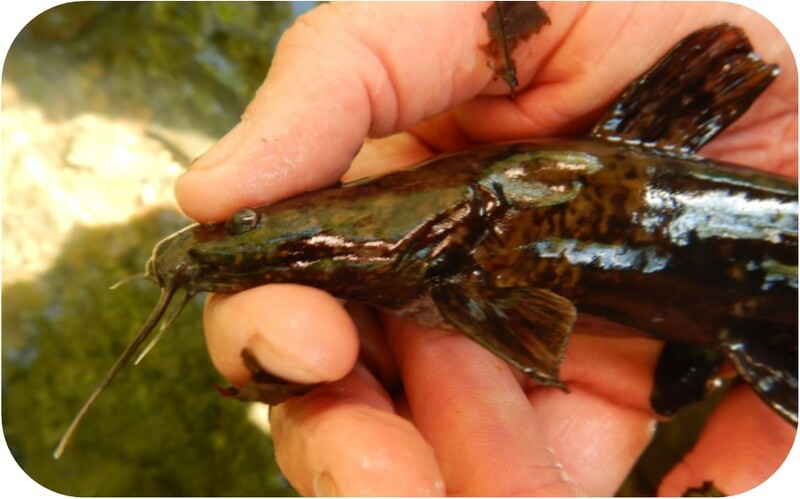 The fish and invertebrate data was then evaluated using the Index of Biotic Integrity (IBI) and Invertebrate Community Index (ICI), respectively. Stream habitat was assessed using the Qualitative Habitat Evaluation Index (QHEI), which assigns rating scores for desirable habitat characteristics. In-situ water quality data was collected using a YSI meter. These reservoirs in the Springfield and Cincinnati area are very important for flood protection, recreation, and the wide variety of species they support. This data will be applied toward watershed management, enhancement, and protection. See the USACE write up in this month’s Fall City Engineer publication. Those of us in the wetland business are no strangers to the frustrations of managing invasive plant species- they are a pain to remove, they crowd out desirable native species, they lower the ecological value of a site, and can be costly to control. So, let’s start talking about ways to reduce the presence of non-native species and alleviate frustration in the future, not just in wetlands, but in forests and prairies, both on private and public lands too. This fall, Jenny Adkins, Lead Botanist, and Jim Palus, Ecosystems Restoration Specialist, joined the planning effort for the Central Ohio Partnership for Regional Invasive Species Management (PRISM) planning effort this fall to see what they could learn and how MAD Scientist Associates can participate in managing (or help our clients manage) these problematic species. This PRISM (there are 6 in the state) covers 17 counties in Central Ohio, encompassing the Darby (Big and Little), Deer Creek, Upper Scioto, Olentangy, Alum, and Big Walnut watersheds. Anyone with a vested interest can join the effort, and in the interest of increasing awareness and effectiveness, diversity in participants is encouraged. Goals for this PRISM include: group leadership, prevention, early detection, and rapid response to prevent the spread of invasives; management of existing populations; educational outreach to improve awareness; and finally; the introduction of policies and regulations in support of prevention and management efforts. As a company, we offer invasive species management services ranging from manual (physical) removal to chemical treatments, revegetation with native species, staff training for grounds crews, and management plans for our clients to continue sustainable practices in the future. For more information on getting involved in your local PRISM, contact Jenny Adkins. For more information on Ohio’s listed invasive species, see the Ohio Department of Natural Resources. In mid-October, our team finished collecting stream profile measurements on a recently-restored headwater stream at The Wilderness Center in Wilmot, Ohio. While there, they also conducted a brief survey of the fish community with Stewardship Manager, Gary Popotnik. 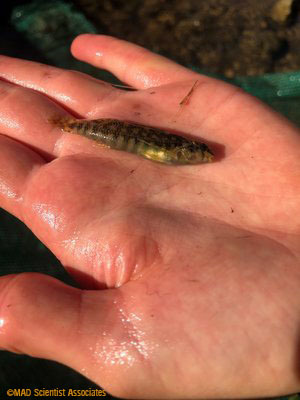 With just a few seine hauls within the restored mitigation reach, they were able to document 12 species, 3 of which were previously undocumented in the original channelized ditch. The team was pleased to see such major improvements in just a year's time! Pictured here is the banded darter (Etheostoma zonale), a common predator of small streams with ample riffle habitat. Though not visible here, during breeding season (April-May) this species and many other darters are ornately clad in vibrant striping and streaks of red, teal, green, and blue. We would like to thank Environmental Design Group for getting us involved in this project, The Wilderness Center for accommodating the mitigation for impacts at the Akron-Canton Airport, and ERC (Environmental Remediation Contractors) for doing an excellent job on the construction. Congratulations to Mark Dilley earning approval as a Certified Ecological Restoration Practitioner (CERP) and to staffer Jim Palus on earning his CERP-in training (CERPIT) from the Society for Ecological Restoration. The Society intends for this certification to encourage a high standard for practitioners who are designing, implementing, overseeing, and monitoring projects throughout the world. We are proud to provide this level of restoration services to our clients! Contact us for your next restoration job! The waterways assessed in the study were sampled using an electrofisher unit that temporarily stuns fish for ease of capture. An Index of Biotic Integrity (IBI) and QHEI score was then calculated for each site (as well as a Modified Index of Well-being, MIWb, for the mainstem Olentangy). A summary of his findings and a link to the report can be found on FLOW’s website. The current list of Ohio EPA QDCs is available HERE. Mark’s certification will be valid through February 2020. Staff member Mary Skapof is a Level 2 QDC for invertebrate studies, as well. 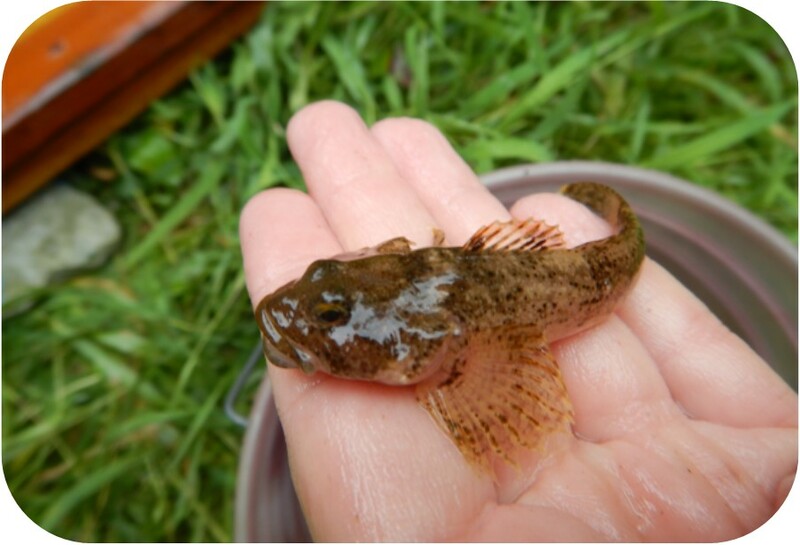 If you need credible fish, invertebrate or QHEI data for your next project, we would welcome the opportunity to assist you!